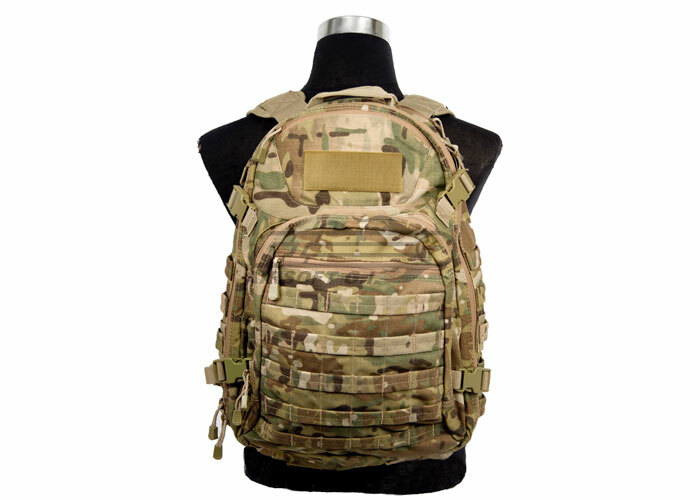 The Condor Outdoor Venture Backpack is covered in MOLLE webbing for all of your tactical and adventurous needs. 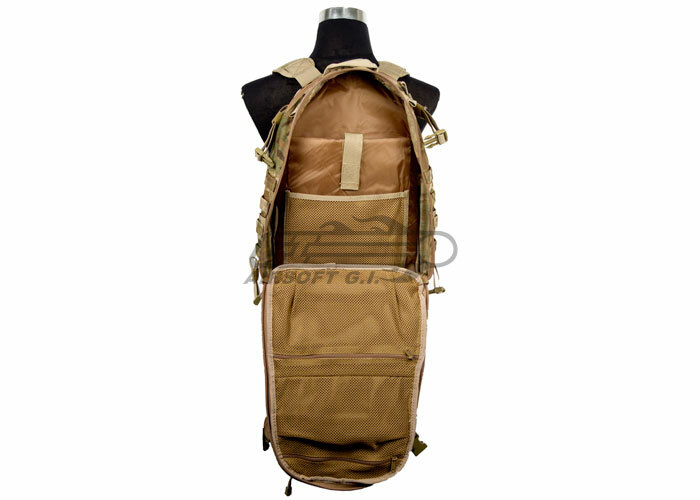 The main compartment has a sleeve for the addition of a hydration bladder or internal frame sheet. 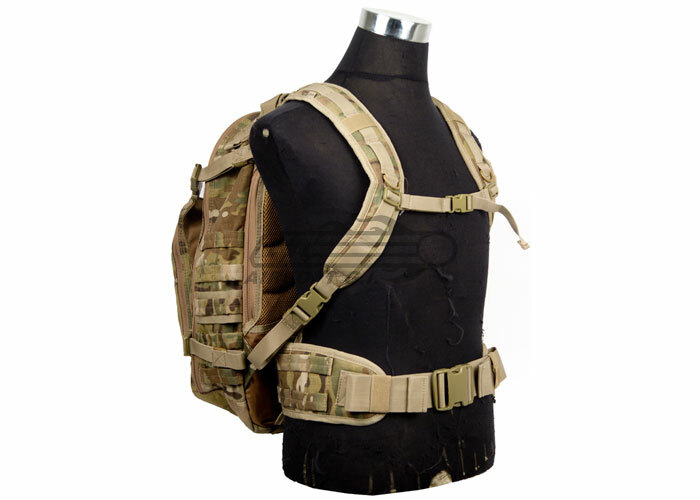 The shoulder straps have been widened to keep the straps away from your neck and on your shoulders where they belong. 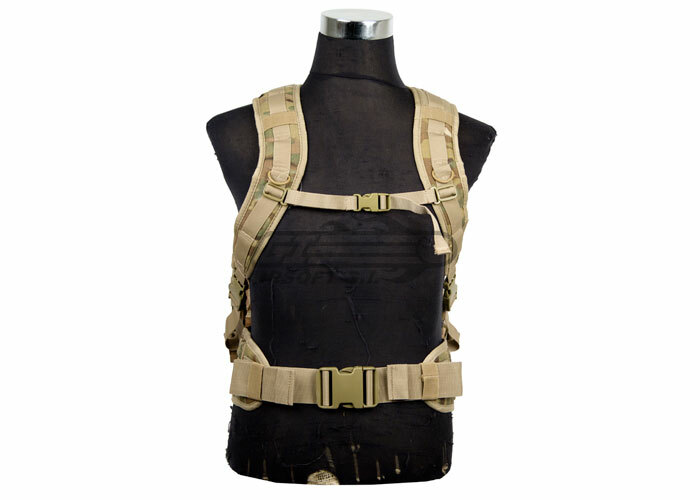 The Sternum strap is fully adjustable and can be placed in different locations along the length of the shoulder straps. 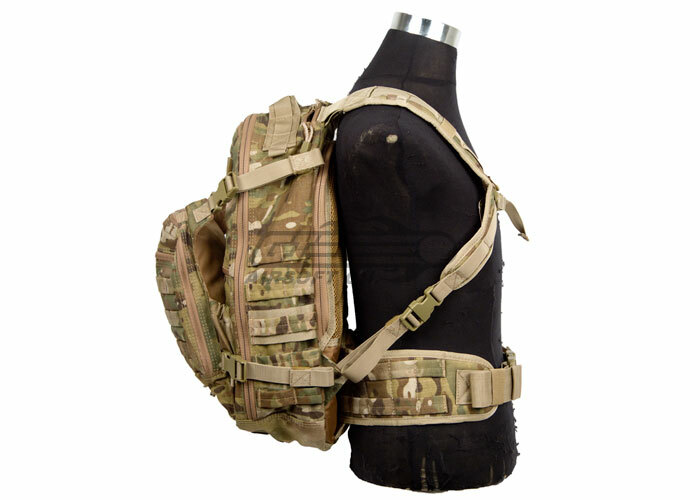 A padded waist strap is included for your comfort and can be removed for use as a MOLLE belt. Adjustable straps on the exterior of the pack insure that the items in the pack are held secure and will not shift. 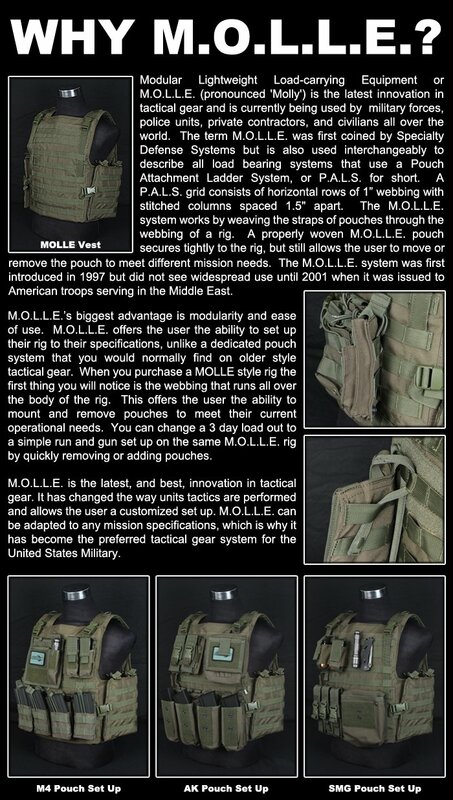 There is a separate pouch on the outside to place your tactical helmet or any loose gear. Hook and loop sections allow the user to attach patches to customize the bag. The variety of different sized compartments, from large to small, create a proper place for all your equipment. It is constructed from water resistant 600 Denier Nylon. 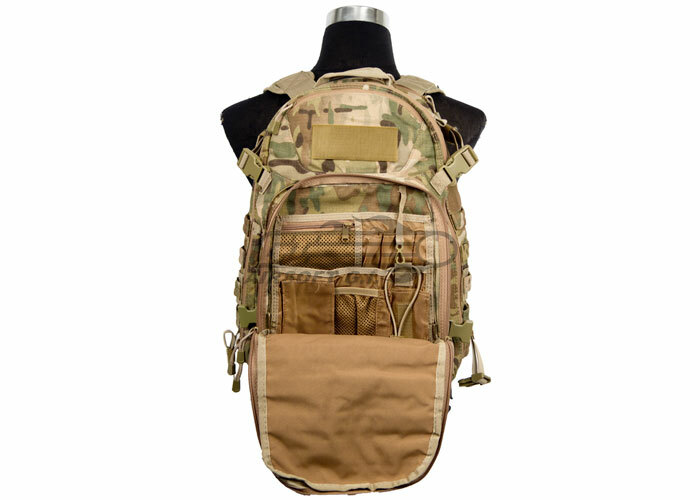 This Condor Outdoor Venture Pack comes in a multicam finish, which is excellent for OPs that require you to ruck your whole kit into the field.